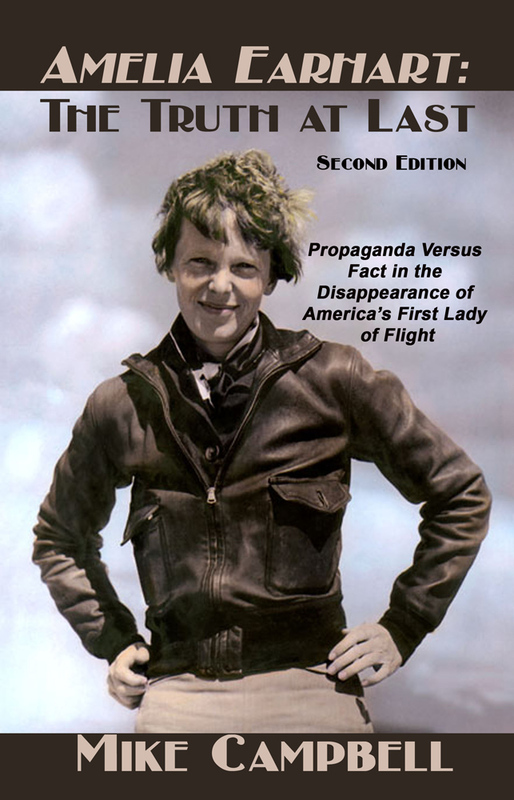 When Fred Goerner’s bestseller, The Search for Amelia Earhart rocked the nation in 1966, selling over 400,000 copies in an age when many Americans actually read books, untold numbers of congressmen and senators from coast to coast were besieged by constituents demanding that they get to the bottom of the disappearance of Amelia Earhart. Nothing happened. 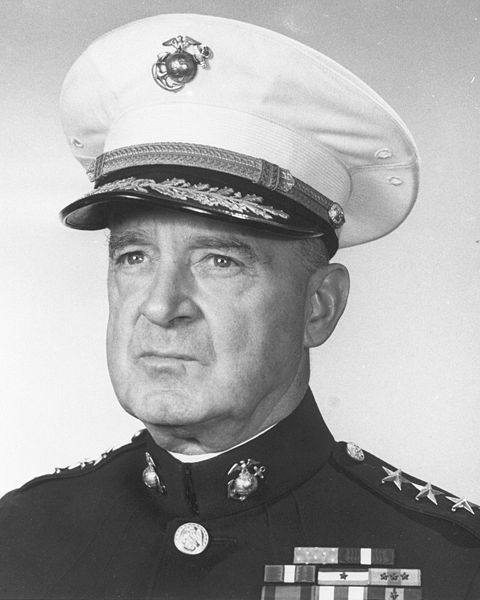 In 1968, Goerner appeared in Miami before a Republican platform subcommittee chaired by Kentucky Governor Louie Broady Nunn. Calling his presentation “Crisis in Credibility—Truth in Government,” a title that perfectly describes the appalling corruption that so pervades our current ruling class, Goerner appealed to the members’ integrity and patriotism, and did his utmost to win them to the cause of securing justice for Amelia and Fred Noonan. Nothing happened then, either. Occasionally someone suggests that I should write to the president, or that they’ve written to their congressmen, to demand action in the ongoing Earhart travesty. I tell them it’s a waste of time, based on what we know and all that’s gone before, but I never try to actually discourage these vain appeals to our rulers. Those who care enough about the truth to actually sit down and write a letter are to be respected and applauded for their diligence, despite the fact that all their letters will be ignored. In 1997, well-known Earhart researcher Rollin Reineck thought he’d take a shot at it, and he sent the below missive to our beloved President Bill Clinton in hopes of effecting a miraculous breakthrough in the Earhart case. Reineck could have saved a stamp, but then we wouldn’t have this letter to serve as a fine example of the sort of good-faith appeals to our nation’s leaders that continue to be ignored. Subject: Public release of information relating to Amelia Earhart. The second of July, this year, will mark the 60th anniversary of the disappearance of Amelia Earhart. This single episode remains the greatest unsolved air mystery of our time. 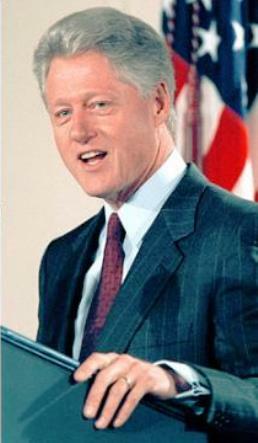 President William J. Clinton, circa 1997. After six decades of government suppression of the truth in the Earhart disappearance, can anyone imagine this president breaking the mold and revealing the facts about Amelia’s sad end on Saipan? The issuance of your 17 April 1995 Executive Order (12958) declassifying all government documents that were 25 years old should have shed some light on this specific area of interest. However, it has produced no results to this date. From circumstantial evidence, most researchers feel they know the answer to this 60-year-old mystery, but they also feel that the “HARD COPY OF FACTS” are still sealed away in the files of the intelligence community in Washington, D.C.
Consequently, I am writing to ask you, as President of the United States, to issue another Executive Order. This time directing that the various military and other intelligence agencies as well as the CIA immediately release — to the public — all materials in their files relating to the disappearance of Amelia Earhart so the world may finally know the truth. Ms. Earhart was the heroine of her era. She epitomized the ideals of women and American feminism, and is still an inspiration to all women today. The cheers, accolades and outpouring of emotion received by another young lady who just completed emulating the Earhart around-the-world flight in the same type vintage airplane reaffirms the desire of the world to know the facts and the truth about the mysterious disappearance of Amelia Earhart. 2. Mr. Carl Heine, a missionary who had lived in the Marshall Islands for 48 years (executed by the Japanese during the war), reported seeing a letter in the Jaluit Post Office on 27 November 1937, addressed to Amelia Earhart. The address read: Amelia Earhart, Marshall Islands, Ratak Group, Maloelap Island, South Pacific Ocean (Attachment 3). Mr. Heine felt it interesting that someone would be writing to Amelia Earhart in the Marshall Islands, and that the return address on the envelope was the Hollywood Roosevelt Hotel, Hollywood, California. It appears to be more than a coincidence that Ms. Earhart’s personal secretary lived at the Hollywood Roosevelt Hotel at that time. 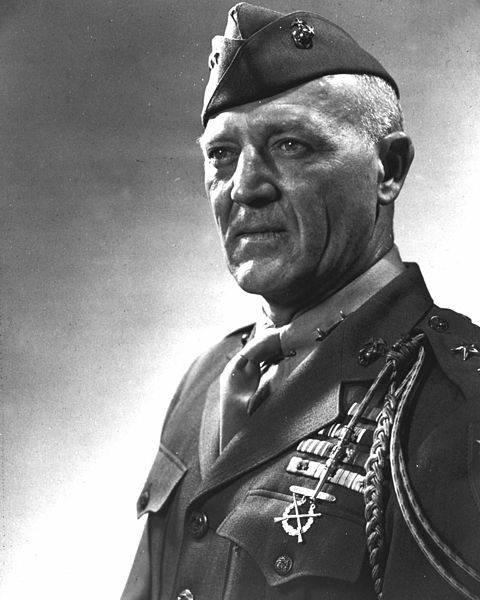 The late Gen. Alexander A. Vandegrift, commandant of the U.S. Marine Corps during the World War II, told Fred Goerner in a 1971 letter that Amelia Earhart died on Saipan. 3. The late five-star Fleet Admiral Chester W. Nimitz, Chief of Pacific Operations during WW II said, “She did go down in the Marshall Islands and was taken prisoner by the Japanese.” This statement by Admiral Nimitz (attachment 4) can be seen today in the Earhart Room of the Admiral Nimitz Museum in Fredericksburg, Texas. 7. In addition, there have been numerous reports by our GIs in the Marshall Islands and on Saipan of seeing photographs and other memorabilia of Ms. Earhart in the Marshalls and on Saipan. Each and every one of these reports states that the found material related to Earhart was turned over to Officers in the field never to be seen again. 8. After the liberation of the Japanese Weihsien Internment Camp, China, messages (attachment 7) were dispatched, dated 21 August 1945 to the next of kin, or other interested parties of the internees. One of those messages was addressed and delivered to G.P. Putnam, 10042 Valley Spring Lane, North Hollywood, California. The message read, “CAMP LIBERATED, ALL WELL, VOLUMES TO TELL, LOVE TO MOTHER.” G.P. Putnam was Amelia’s husband and 10042 Spring Valley Lane, North Hollywood, California, was where they lived as man and wife before she departed on her around the world flight. Although the message was unsigned, there is little doubt as to who wrote the message. G.P. Putnam responded to the message 10 days later. 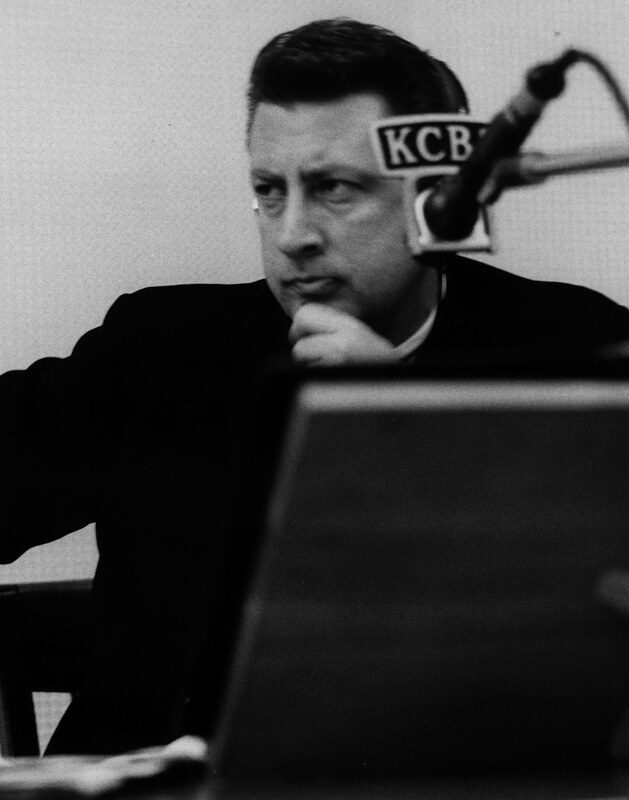 Although I have worked with both the State and Treasury Departments, as well as the National Archives, I have not been able to obtain information to reconcile these various viewpoints and happenings on what should be a matter of fact. Which version concerning Earhart’s disappearance are we to believe? Why can’t the people of the United States be told the truth about this event that took place almost 60 years ago? How could the release of the true facts of this historical event possibly affect the security of this country today, or have any other significant consequences? What will it take to set the record straight and get the truth about the fate of Amelia Earhart? In May 1938, the Honorable Hattie W. Caraway, Senator, of your State of Arkansas, said on the floor of the U.S. Senate: “Amelia Earhart was a courageous woman who was one of the 12 most notable women of the past 100 years.” Senator Caraway went on to say that: “She was a woman who symbolized, to a remarkable degree, the courage, the pioneering spirit and the broad achievements of American womanhood” (Attachment 8). 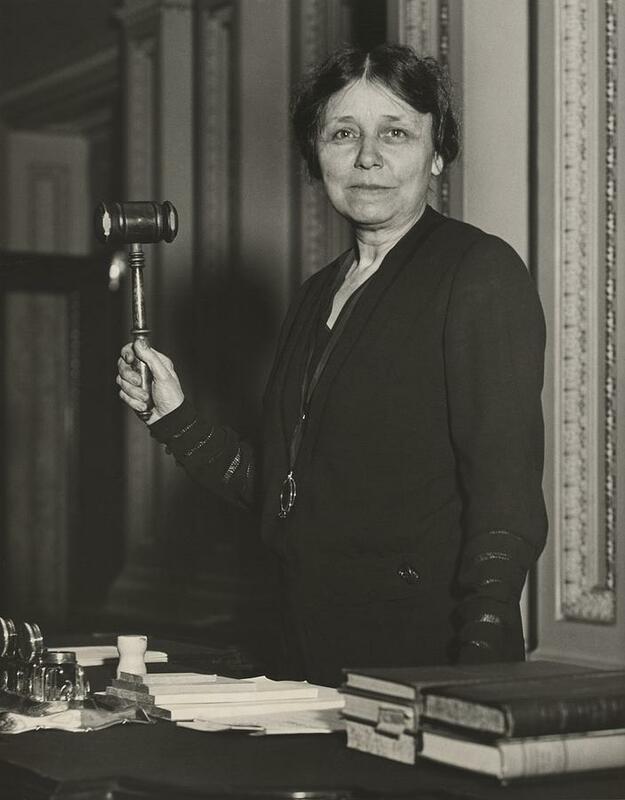 Senator Hattie Ophelia Wyatt Caraway presides over the U.S. Senate in May 1932. Caraway, of Arkansas, was the first woman elected to serve a full term as a United States Senator. What Senator Caraway said on the floor of the Senate in 1938 was true then and it is true today. Amelia Earhart was indeed a very courageous woman who served her country well in time of need. It is only fitting that the truth now be known and that her name be placed in the HALL OF FAME with other great Americans so that her countrymen and women of today and tomorrow are made aware of her noble deeds. Mr. President, you can make it happen by directing the immediate release to the public of all CIA, Navy, Marine and Coast Guard and other intelligence files relating to Ms. Amelia Earhart. Your early response to this letter would be appreciated. Of course, Reineck received no response from Bill Clinton, not early nor at any other time. Clinton likely never even saw Reineck’s letter, which was probably deposited into the nearest circular file by one of an army of lackeys paid exorbitant amounts of taxpayer dollars to screen White House mail and remove these little annoyances from taxpayers. This is the inevitable fate of any attempts by our good citizens to appeal to the better angels of those who keep our national secrets. To begin with, these people have no better angels, as their spiritual protectors likely gave up on most of these lowlifes long ago. Secondly, and most importantly, the Earhart case remains among Washington’s most precious sacred cows, a status that will almost certainly remain unchanged for decades to come. Welcome to the Earhart saga.